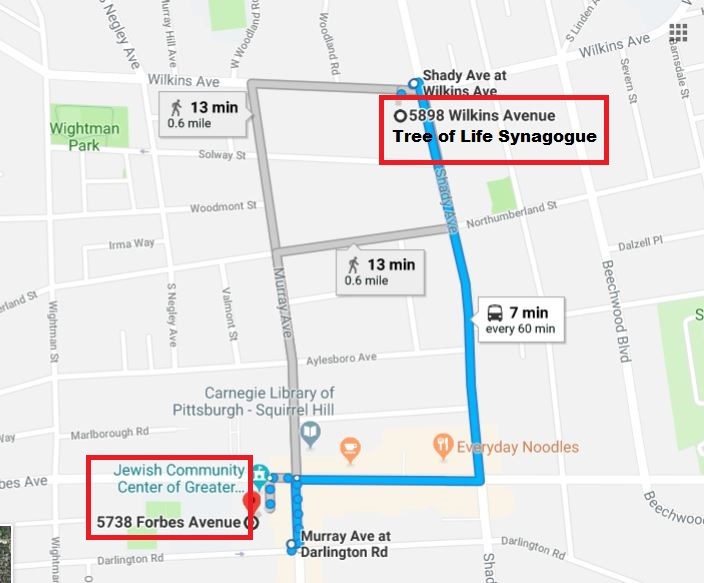 I highly recommend Vivian Lee’s outstanding post on Dr. James Tracy’s Memory Hole Blog, “Pittsburgh Synagogue Shooting: Questions and Anomalies“. 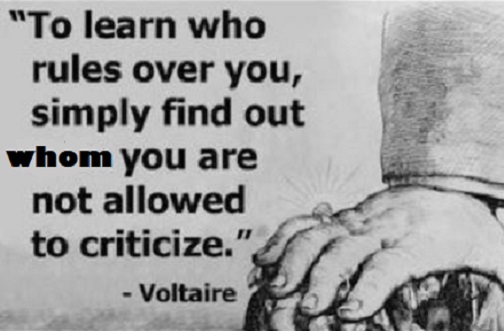 This entry was posted in 2018 Pittsburgh synagogue shooting, crime, False flag, Judaism/Jews, liberal hypocrisy, Liberals/Democrats/Left, social media, tech giants censorship, United States and tagged Gab, Gab.ai, Gab.com, Pittsburgh synagogue victims, Robert Bowers, Tree of Life Synagogue, Voltaire quote on who rules over you. Bookmark the permalink. I’m shocked, just shocked by this story…NOT. As for taking down Gab, had to have some legit reason, I guess. NOT. Yeah, that’s why I mentioned it in one of my comments. Seems a bit contrived to me. But, what do I know? Any time we see a “drill” associated with one of these claimed events, alarms should go off. Now there is a “new normal” in that censorship follows staged events. So the shooter says Trump is controlled by Israel and a Jewphile but somehow the shooting is his fault? Terminal stupidity has been reached in America and there is no coming back from it. They want to shut down GAB, or, GAB is a corral to find all the dissenters to steer people. In Belgium, they guard Synagogues with machine guns. Is dry (truthful) humor allowed in the face of tragedy? Wow, Brother Nathanael claims to have lived in the past for many years in Squirrel Hill, Pittsburgh, PA, & that he attended that Tree of Life Synagogue a few times but was not wild about it. Isn’t the Tree of Life associated with the Kabbalah? Now if this church or one nearby had hosted an “active shooter drill,” we would be going to church somewhere else for a while. As it is, we have no way to find out if our pastor is a designated FEMA pastor, in which case we also would not attend. MK Ultra patsies everywhere, Oh My! A caller, told the talk radio host how come the many Christian Church massacres are never given the extensive coverage that this did. He also told the host, which went over his head, that perhaps 20-50 years from now that the casualty number will reach 6 million. There are now so many holes in their dyke of lies, that they are going to drown. I highly recommend Vivian Lee’s outstanding post on Dr. James Tracy’s Memory Hole Blog, “Pittsburgh Synagogue Shooting: Questions and Anomalies”. Tweet seen today: The doctor who treated the shooter/Bowers is also Jewish. Definitely noble sentiments, as it should be, if the Dr. is for real. From 10/29/18; In a New Jersey Jewish community, a doll with a knife through its head & stabbed into a tree, was found. The doll was dressed in a uniform that local school children wear. You may want to read the attached piece where they say that nurses arrived from an active shooter drill to “tend the victims”. This isn’t the first reference I have on that but it may be the most obvious. In fact, based on some other things I’ve read, I wouldn’t be surprised to learn that they were involved in this some way. Think back to all the others (there are so very many), and the “miraculous” wounds and recoveries. Seeing IS NOT believing and its even worse when all we have is their narrative. History of jews in Pittsburg at: “Community History, Jewish Chronicle Supplement, 2005” 4 pg PDF. Pittburg jews hosted the 1978 Holocaust Conference. Chabbad of Pittsburg is in Squirrel Hill which seems to be Polish and Lithuanian jews. 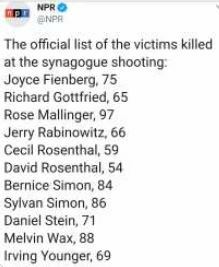 “Jerry Rabinowitz, MD, a family physician who previously served as medical staff president of what is today called UPMC Shadyside hospital, died in the shooting when he ran to help wounded worshipers, as NBC News reported. Rabinowitz and Leger weren’t the only UPMC community members to witness the aftermath firsthand….”. Why we know Pittsburgh is not real. One big PsyOps. I’m getting very tired of these games. Good grief, the ADL is a dam’d joke filled with FAKE jokesters & liars. 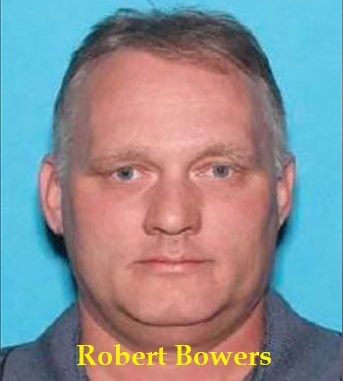 How we know the CIA created Robert Bowers as a Patsy & GAB is perfect setup for creating more HOAXES. Of course, to go along and be seen as legitimate, GAB must be taken down. So, you see, that the attack of the ADL on GAB supporting “White Supremacy” is just one huge CIA and a stank of a Jewish MESS. “Nothing is real, & nothing to get hung about! Strawberry fields forever!” A Beatles song, has more teaching in it, as long as one has ears to hear. Tavistock, did not expect ME.